Cartography is the science of drawing maps, and it should be noted that the word “art” is included in the word and the process of cartography. 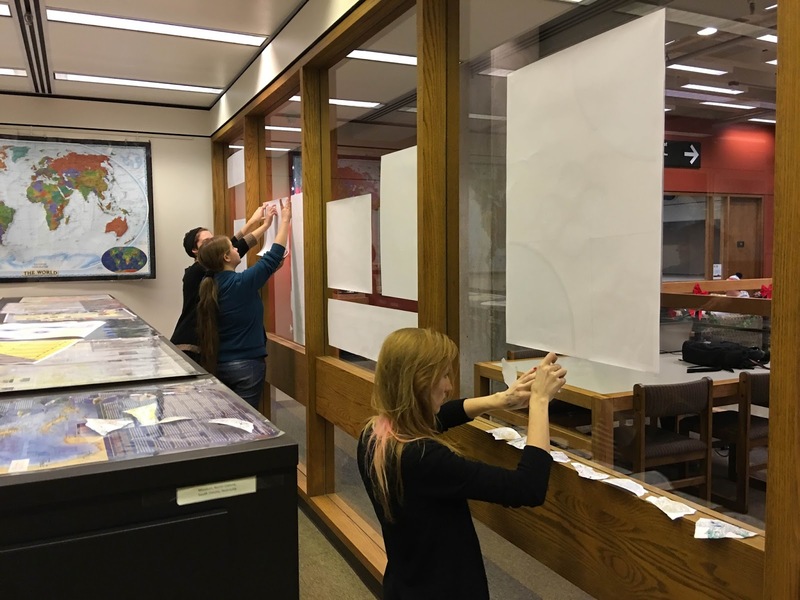 So the Ball State University Libraries’ GIS Research and Map Collection (GRMC) teamed up with faculty in the Department of Art to introduce the science of cartography to art students. Students in the Art 217 Watercolor class visited the GRMC in October to become acquainted with the thousands of types of maps available in the Collection. 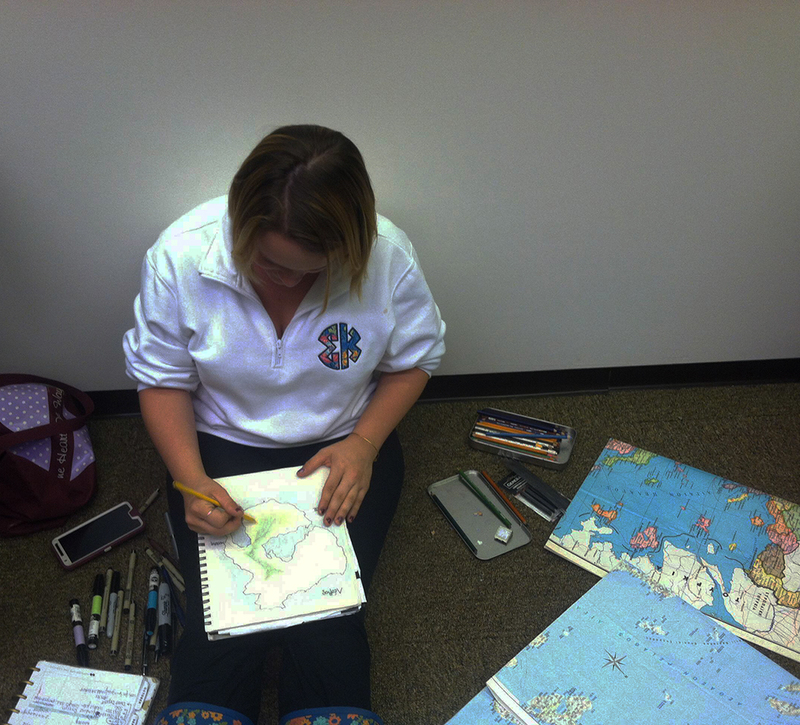 The students learned about some of the history of cartography and key components of maps. 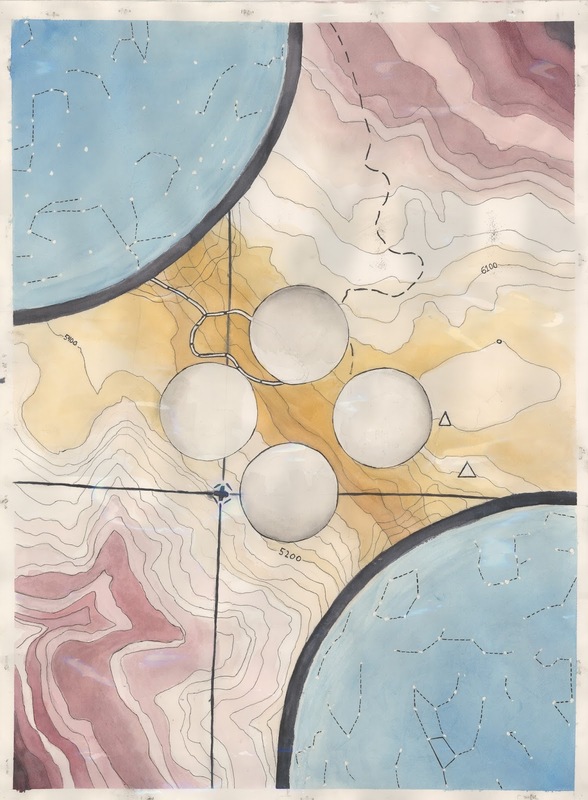 Hannah Barnes, Associate Professor in the Department of Art, then directed her students to create maps of places or subjects in a completely new, unique, and imaginative way. The students’ task was to create an original map in a way that had never before been created. And all of the maps would be hand-drawn. The students created large maps, raised-relief maps, books, and even maps made as fall leaves for the project. The Libraries’ Cataloging and Metadata Services staff then scanned the students’ original artwork to be incorporated into a new Digital Media Repository collection. The maps will also be cataloged and included in the GRMC as circulating items. Copies of the students’ maps are now exhibited in the front windows of the GRMC on the second floor of Bracken Library. 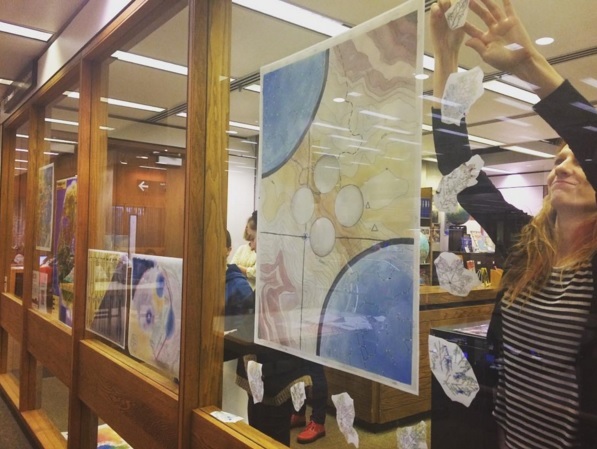 The exhibit, The Art of Cartography, will be featured through January. 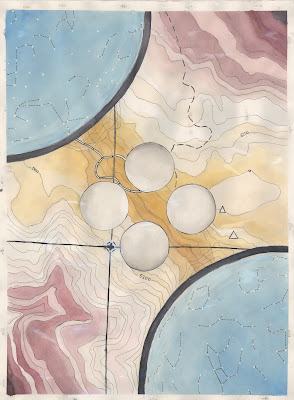 The maps include A Map of Ransom’s Journey in Perelandra (Mars), Mapping Intuition, Map of Caffeine Addiction, Mapping the Space Between (which was inspired by planetary maps in the GRMC), and Pangaea Map of World War I, which was based on maps of Pangaea from atlases in the GRMC, and many others. 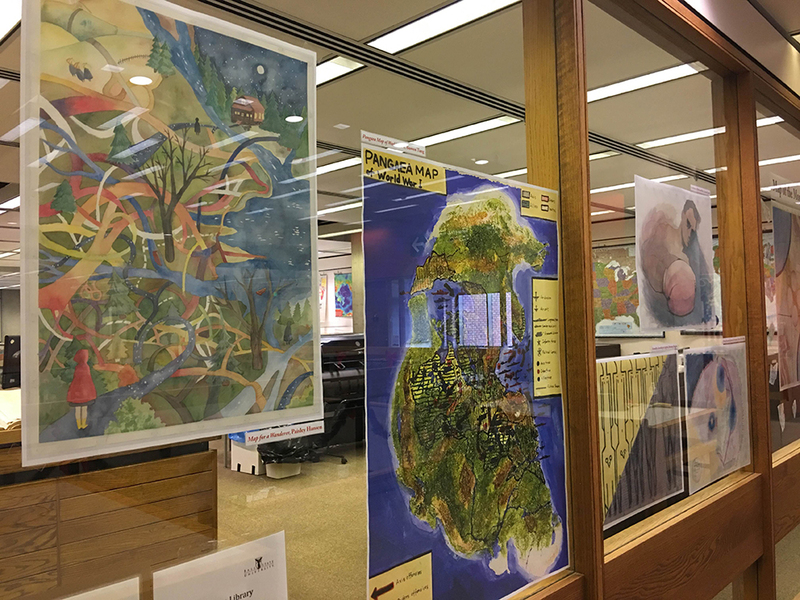 For more information about incorporating maps into research and learning projects, please contact the GRMC at 765-285-1097.